The Fireblock range of doors has been designed with patented features to provide an array of solutions that are suitable for a wide variety of applications. The Fireblock range of commercial doors has been developed to provide a choice of designs and features to suit a multitude of applications and design criteria. 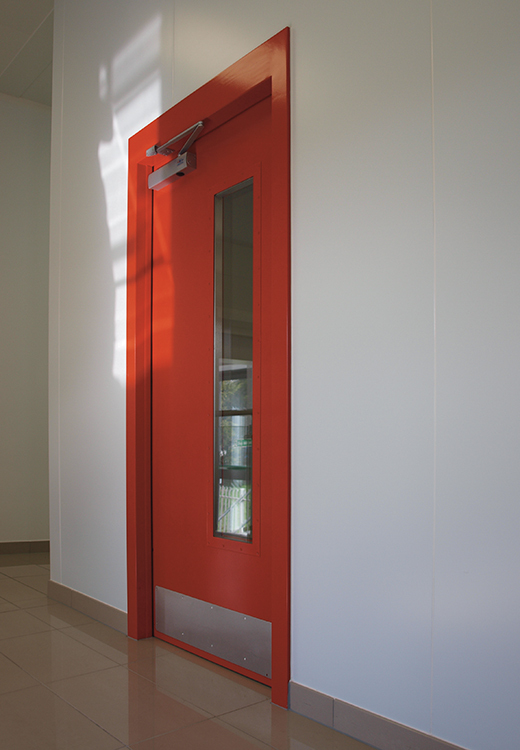 Fireblock commercial doors are available in standard and non-standard sizes. Fireblock hollow metal doors are unique in their design and have a number of patented features. Particular emphasis is given to internal and external provision for door ironmongery and accessories to ensure that all surface fixing have solid grounds. Noise at work regulations 1989 require sound levels to be maintained within clearly defined limits. However, even below these parameters noise can constitute a nuisance or even seriously affect work conditions and quality of life. The range of acoustic doors from Fireblock is fully certified and available with ratings of up to 40dB, whilst still incorporating fire resistance of up to 240 minutes. Fireblock’s acoustic range can also be profiled with vision panels and any ironmongery specifications. In addition, a full range of glazed screens and windows has also been developed with acoustic properties. • Air leakage / pressure seals. • Fully bonded protection plates. 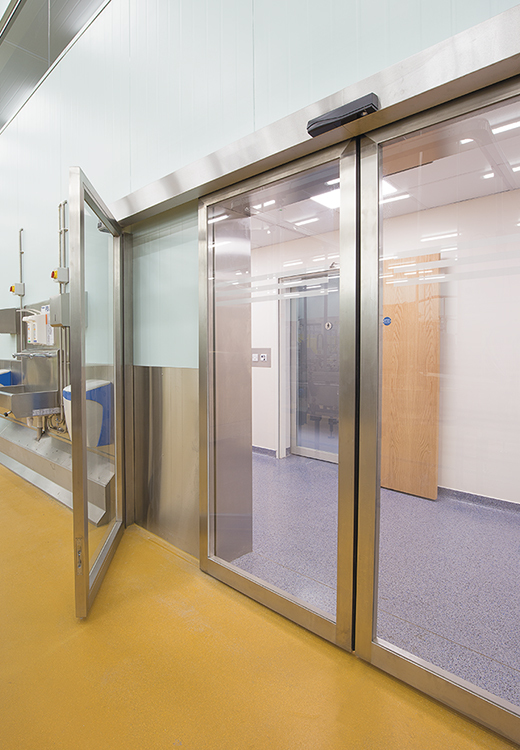 The range of cleanroom doors are also available for sliding and automated applications. Fireblock manufacture single and double leaf sliding doorsets. The quality and aesthetic are second to none and can incorporate any design or operation. Fireblock sliding doors can be fire rated from 30 minutes up to 300 minutes (single leaf only) and can also be provided with increased acoustic ratings, suitable for a number of applications - industrial, medical, pharmaceutical and cleanroom projects. 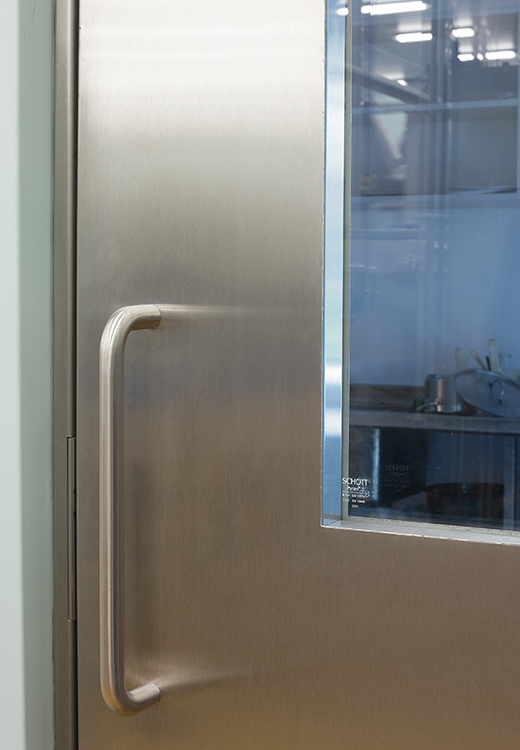 Power assisted sliding doors are also a key feature of the range, allowing for barrier-free passage through the building while also keeping the integrity and space saving. • Fire rating of up to 240 minutes. • Acoustic performance of up to 25dB with 29% visual free area. • Can be fitted with colour-matched Insect Mesh. Fireblock can offer options of 1.2mm stainless steel louvre blades and frame as standard. Alternatively, a range of aluminium blades and frame are available. 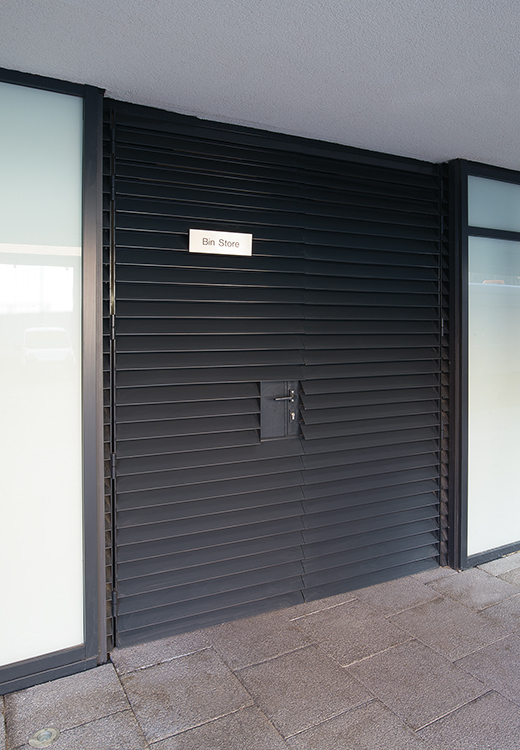 The louvered frame assembly is then concealed welded to the door skins providing a clean detail to the door. Fireblock blast resistant metal doorsets combine blast and pressure resistance without compromising on it’s aesthetic appearance. 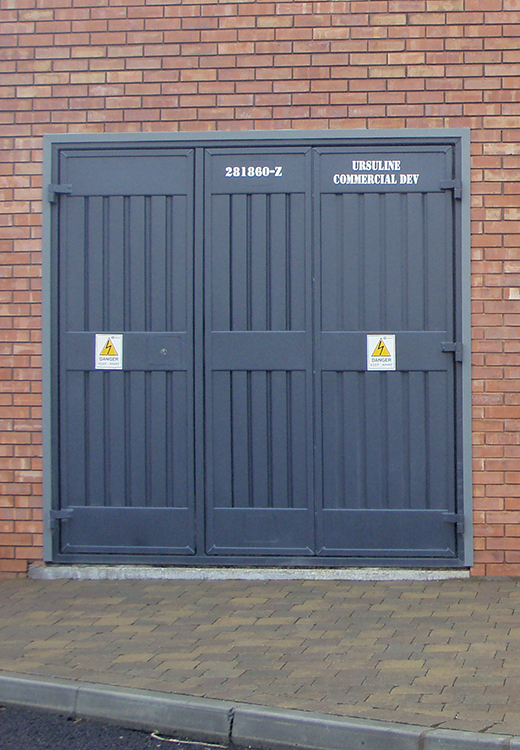 The Fireblock blast resistant doorsets have been dynamically tested to international standard ISO 16933 with ratings of up to and in excessof 47Kn/m². This is also the recognised benchmark standard for the Centre for the Protection of National Infrastructure (CPNI). 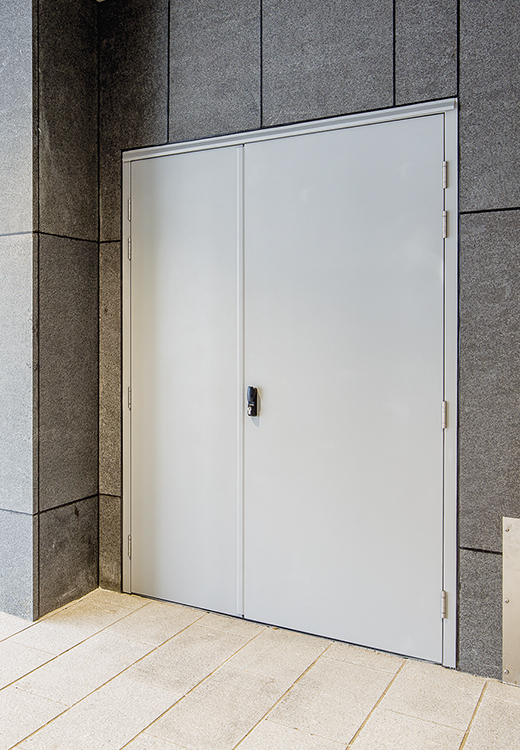 All our blast resistant doorsets can incorporate fire resistance of up to 240 minutes and can be provided with the full range of accessories, automation and specific glazed panels.